Maingear has recently launched a new selection of their Battlebox gaming desktops, each powered by an Nvidia GeForce GTX Titan Z graphics card, that present surprisingly good value for anyone looking to buy an extremely powerful PC. All of Maingear's F131, SHIFT and VYBE Battleboxes are designed for gaming at 4K resolutions, and pack multiple Nvidia GPUs inside. 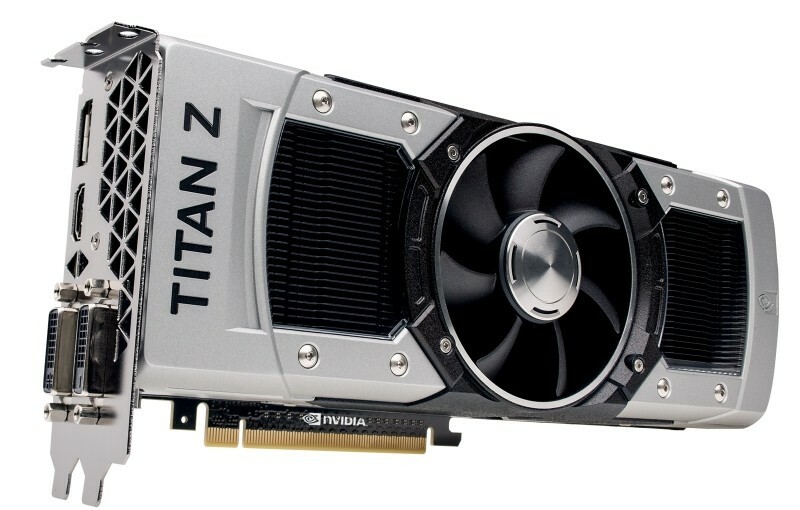 As the Titan Z has two Kepler GK110 GPUs on the one PCB, you only need one in the system for it to qualify. What makes these systems such good value is that they barely cost more than a standalone (and ridiculously expensive) GTX Titan Z; in fact the base VYBE system, which starts at $2,999, is the exact same price as a single Titan Z through Newegg and other retailers. Buying this system essentially means you're getting a Titan Z plus a free, fully-functional and decently-specced PC to put it in. For something a little more pricey, the F131 base model starts at $3,199 and the SHIFT starts at $3,499. Each system comes with slightly different components and cases, although all come pre-loaded with an Intel Core i5-4590 CPU, 8 GB of DDR3-1600 memory, a 1TB hard drive or hybrid SSHD, a 750W PSU, and Windows 8.1. Configuring each box could lead you to add in fast SSDs, up to 32 GB of RAM, an Intel Core i7-4790K CPU and even a second GeForce GTX Titan Z in SLI. For more information on these systems, you can head to Maingear's pages for either the F131, VYBE or SHIFT Battleboxes. Orders start shipping out next week.